Missions Catalyst has put together an impressive calendar of upcoming missions events you just might not want to miss. Dealing with discouragement, isolation, fear, or feelings of inadequacy as you head overseas? This could be a great chance to get together with your tribe. P.S. Did you know Johnson University offers a totally online Intercultural Studies course? And check out COMMA’s upcoming conference in Orlando, to inspire, equip, empower to train, and network with those reaching Muslims. Who should go? You can still get the early bird rate until May 31, 2019. What Good Can GOD BRING from ISIS? You may have seen recently that ISIS is facing its final stand, reduced to 1.5 square miles in Syria. Yet as we look back on its black legacy, we’ve heard rumblings: The terror of ISIS has been shaking people lose from Islam. Unfortunately, some simply become atheists. But as NBC News reports, Life Under ISIS Led These Muslims to Christianity. Though this article is dated, it tells of how Iranian refugees, seeking to know more about Jesus after being given Bibles, were actually reviving the Danish church. You might also appreciate last year’s podcast from Christianity Today’s Quick to Listen: Muslim Refugees Are Finding Christ–and Facing Backlash. What a great reminder to continue to welcome refugees into our communities with open arms. Want to see where your country-to-be ranks? From A Life Overseas, this occasionally humorous look at the stages of missionary life may give some good food for thought–including some ideas to face each with a little more health. Which stage are you at? After hearing that solar-powered Bibles are being used to reach remote South Asian tribes, we thought you might also want to see five more major trends–as reported by the International Mission Board–revolutionizing missions. Ready to hear the latest? And if you’re game, this course unleashes ways to use new media to reach the unreached. Like this post? 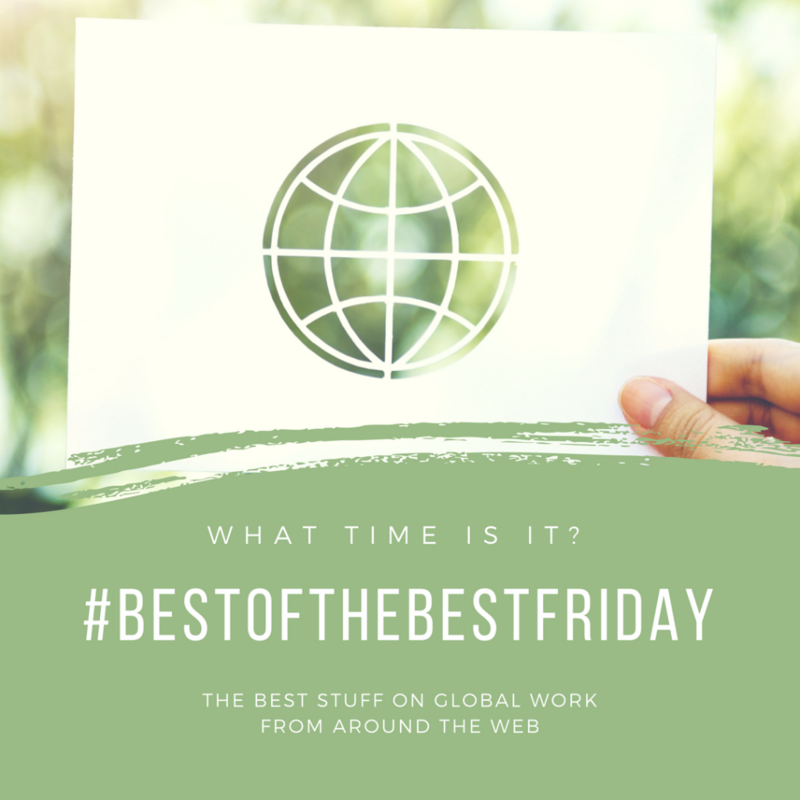 Don’t miss the rest of our #BestoftheBestFridays: The Best Stuff on Global Work around the Web. Entering into a Cultural “Marriage”: Do I Need to Like the People I Serve?